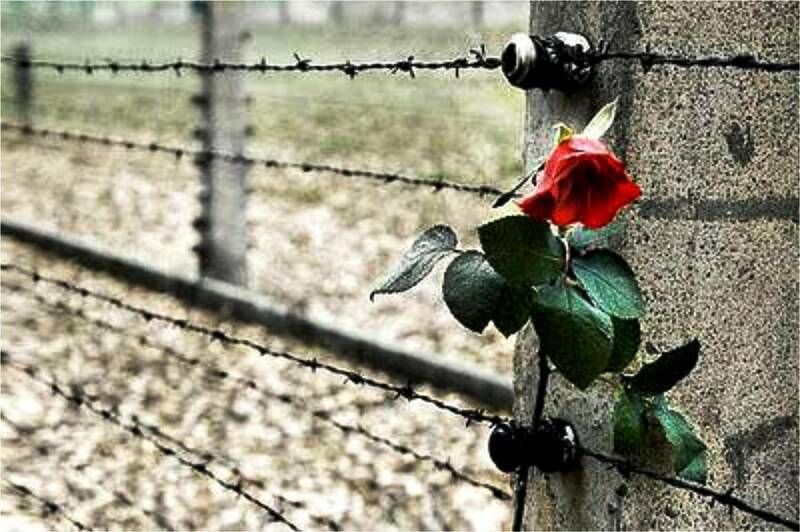 Designated by the UN General Assembly in 2005, International Holocaust Remembrance Day Jan. 27 marks the 74th anniversary of the liberation from Nazi concentration camps. Events honoring the Shoah take place throughout Italy, from Palermo to Turin. 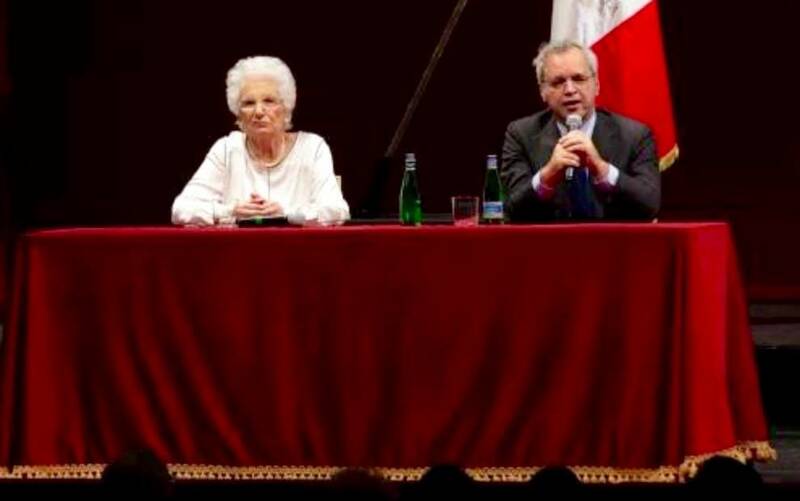 In Milan on Jan. 22, two thousand students applauded Senator Liliana Segre and TV host Enrico Mentana speaking in a jam-packed La Scala Theater. 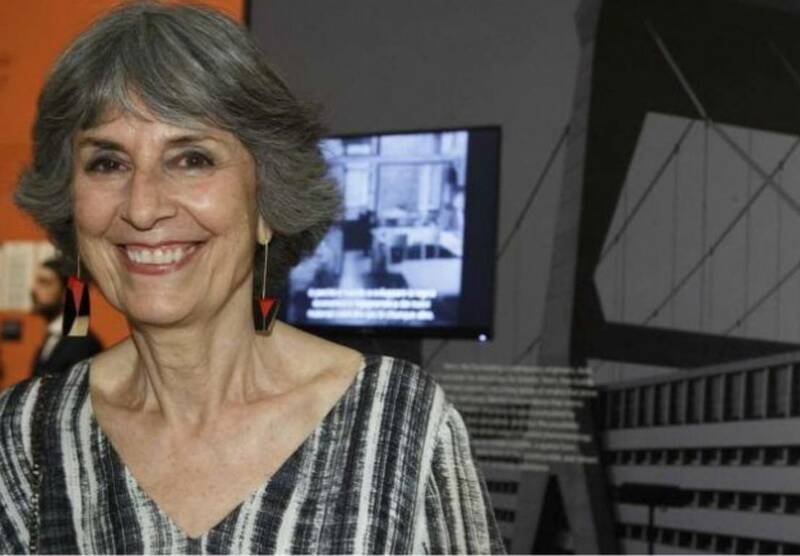 "I was a clandestine many years ago -- a terrified little girl who was denied the right for asylum in Switzerland," Segre recounted. To get to a Swiss border where she was turned away, she had been obliged to walk through the snowy woodlands, with the "help" of greedy contrabanders who are "today's equivalent of those paid for bringing immigrants across the Mediterranean." With her family she ended up in the Auschwitz concentration camp, where her father was killed. "Racism led us to forget that the only race that exists is the human race," she went on to tell the students. "Never believe in totalitarianism. Always be informed and aware of what you want. Make your own choices. We are both the memory and the future." Also in Milan a Remembrance Day concert takes place Jan. 27 at the Giuseppe Verdi Conservatory in memory of Primo Levi, with music by Mozart, Hindemith and Leonard Bernstein. Holocaust survivor Levi, who died in 1987, was a chemist, author and partisan fighter who was captured and sent to Auschwitz in 1944. His most famous book is "Se questo è un uomo" (If This Is a Man), published in 1947 and still in print and on Kindle as well, including in English. 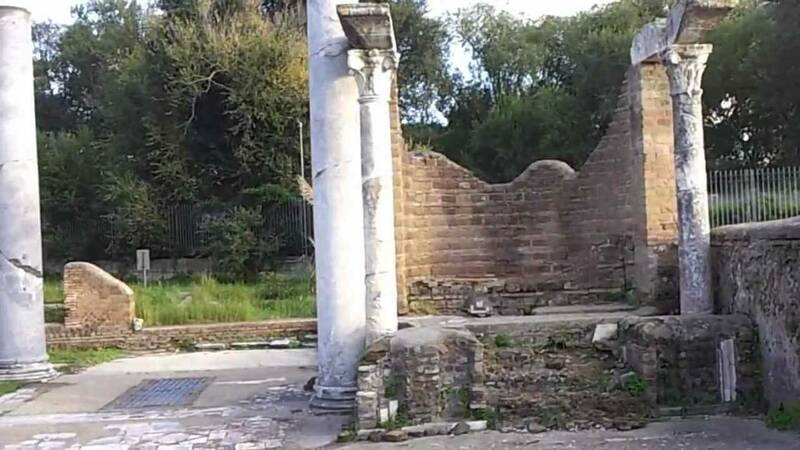 In Rome the Shoah is honored by the tenth biennial art exhibition held among the ruins of the historic synagogue at Ostia Antica. "Arte in Memoria" (Art in Memory), curated by Adachiara Zevi, is absolutely unique as an exhibit of sculpture and installations set among the floor mosaics and four remaining columns of Europe's oldest synagogue. First built in the First Century, the synagogue was reconstructed in the 4th Century AD but abandoned and rediscovered only in 1961. Artists represented in this edition include Norther W. Hinterberger of Berlin, Zbigniew Libera of Warsaw, Ruth Beraha of Milan, and Karyn Olivier of Trinidad and Tobago, currently a fellow at the American Academy in Rome. A particularly touching exhibit is the long stretch of actual train tracks directed across the synagogue floor and toward the northwest, which is to say Germany. The work of the Polish artist Libera was introduced by an obviously deeply moved Vito Episcopo, a director of the Rome railways Ferrovie dello Stato. "Culture is still a great tool to foster understanding," he said. On exhibition in Rome on Jan. 25 at the Palazzo delle Esposizioni is the exhibition "Testimoni dei Testimoni" (Witnesses of witnesses), on Italian diplomatic efforts to deal with the persecution of the Jews between 1938 and 1943. Venice offers a Remembrance Day concert at the Benedetto Marcello Conservatory in memory of Mario Castelnuovo Tedesco, and at the Castle Gardens a reading of war memoirs will be held. In Turin a marathon called Run for Mem (as in memory) is being held in the presence of two-time Olympic runner Prof. Shaul Ladany, who was just eight years old when he was captured and sent to the Bergen-Belsen concentration camp where Anna Frank died. Born in Yugoslavia, Ladany is an author and professor of industrial engineering and management at Ben Gurion University in Israel. 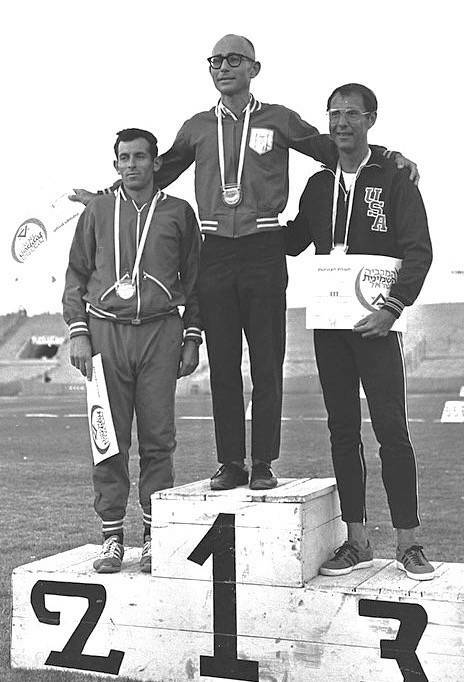 He not only survived the death camp in Germany, but also managed to escape the Palestinian terrorist attack in Munich in September 1972, when eleven Israeli Olympic athletes and their coaches were killed. In Palermo the exhibition on how young people remember the Shoah opens in Palazzo Steri Jan. 28 (Ricordi Futuri 3.0 Diaspore in terra di Sicilia, or Future Memories 3.0 devoted to young people's concepts of the Holocaust). Together with Radio Spazio Noi and the Sicilian Institute for Hebrew Studies the conference takes place in the Regional Public Library on Jan. 24. Speakers include Mons. Salvatore Di Cristina, Bishop emeritus of Monreale, and University of Palermo law professor Giuseppe Verde.